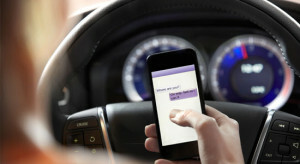 Not too long ago Massachusetts enacted a law prohibiting texting and driving. The statute, Massachusetts General Laws Chapter 90 Section 13B has enables police officers to make motor vehicle stops that in the past would not have been considered lawful. There is however a silver lining for Massachusetts criminal defense attorneys challenging stops under this law. The statute is written in a way that makes it virtually impossible for a judge to sustain the stop if properly challenged through a motion to suppress. Here is why. The statute reads as follows: “[n]o operator of a motor vehicle shall use a mobile telephone, or any handheld device capable of accessing the internet, to manually compose, send or read an electronic message while operating a motor vehicle. For the purposes of this section, an operator shall not be considered to be operating a motor vehicle if the vehicle is stationary and not located in a part of the public way intended for travel”. There is a fine of one hundred dollars for the first offense, two hundred fifty dollars for the second violation and five hundred dollars for all subsequent violations. The statute clearly does not preclude the use of cell phones to make or receive calls. So, how then can the prosecution justify a stop under this statute? It really cannot. Look at just about any realistic scenario. At best, a police officer will be driving next to a person manipulating a cell phone. So just what is it that this person is doing? No one really knows except the driver. At the time of the stop the officer cannot say for sure that this person was texting or manually composing, sending or reading an electronic message. Nor for that matter can the officer state that the device was capable of accessing the Internet. In other words, reasonable suspicion that the driver is committing, has committed or is about to commit an offense cannot reasonably be established using this law. What If The Officer Looks At Your Phone After The Stop? Clients have asked me questions along the lines of “what if the officer takes my phone and sees that is a smartphone?”. There are two simple responses to that question. First, the officer would have to know at the time of the stop, not after the stop. You cannot stop someone on a hunch and then confirm your hunch to endorse a constitutional violation. Second, the police cannot open or access your phone without a search warrant. So if the police cannot establish that prior to the stop the phone meets the requirements of the statute the stop cannot be upheld. Your best defense in cases like this one is to file a motion to suppress and contest the stop of the motor vehicle. We have done that successfully on several occasions. Chances are that by winning your motion to suppress your case will ultimately be dismissed. If you have been charged with a crime based on a motor vehicle stop call Attorney Stephen Neyman now at 617-263-6800. We are ready to defend you and help you get the best result possible for your criminal case.